Aicardi syndrom - Westsyndrom - Biliary Atresia. 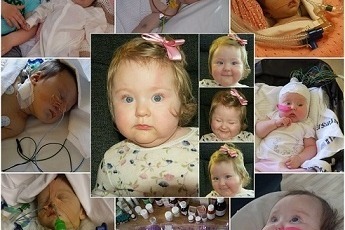 Zarah Angelica is a little girl that has been born with the Aicardi syndrome . And allso been diagnostic with many other illness. -Aicardi syndrome is a rare genetic malformation syndrome characterized by the partial or complete absence of a key structure in the brain called the corpus callosum, the presence of retinal abnormalities, and seizures in the form of infantile spasms. 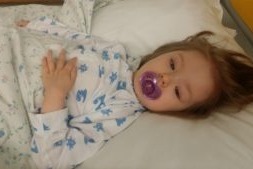 Aicardi syndrome is theorized to be caused by a defect on the X chromosome as it has thus far only been observed in girls or in boys with Klinefelter syndrome. 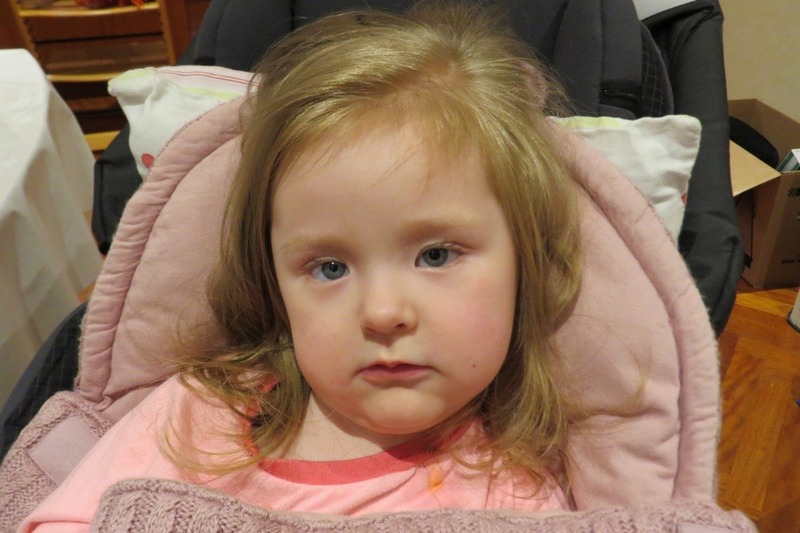 The family has been in and out of hospital since Zarah was born. Fenemal, Prednisolon, Keppra, Sabrilex, Topiramat og ACTH-injections. The Family has already been told that Zarah Angelica probably would not survive the first or the second decade, and that the development will probably stop at any time. For infantile spasms, mortality is within the 3 first years of life 61%. And now they try do anything to slow down a negative trend. And this is what they need help with. 10 Nov. 2018 Our first Goal is of 10,000 NOK has been reached - We will contact some of you to Send a ZarahAngelica Supporter T-Shirt Soon. The cost of the Medicins here in Norway, for this treatment is about $1500 -$2000. And that is for one month only, the Goverment wont support with anything. Thanks a lot for taking the time and read this. And thanks a lof for any donation You can affore now, or maybe later. 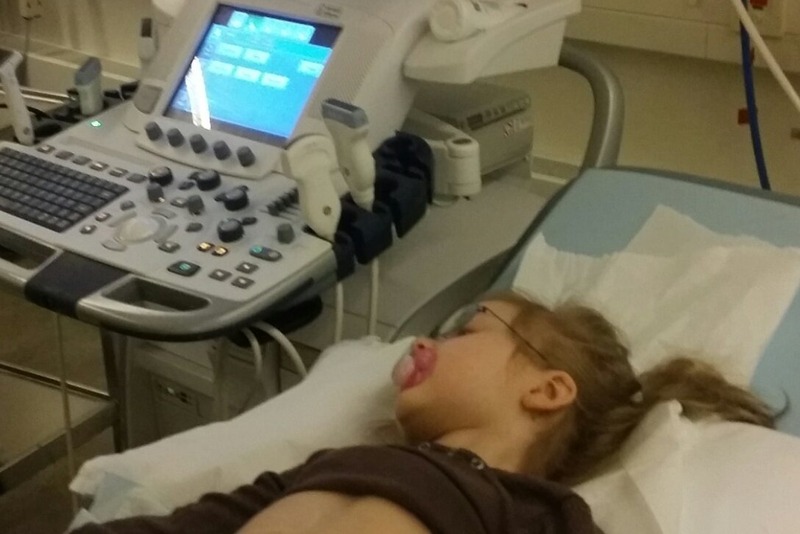 Then the day had arrived, the day Zarah Angelica should take the PEG Surgery (Percutaneous Endoscopic Gastrostomy), at Haukaland Hospital, Bergen, Norway. All was set up to do the surgery, they took little Zarah Angelica to the surgery, and was doing the anesthetic. Finaly said the time has arrived, after this long time waiting for the PEG surgery. The feeling that the surgery should be done, so the family finaly could go home and know that Zarah Angelica now should get the nutrition she needs, was a hugh relief for them all. Then the Gastroenterologist (Doctor) came out to the family. Berglijot (Mother) was kinda relifed, as now she was thinking; Finaly its over. The Gastroenterologist shook his head, and told them that the surgery didnt go well... Ofcause this was a shock, as Zarahs mom, got scared, do to those words. Then he explainded, and the reason why they had to stop the surgery, as he said it: "We couldn't do it because Zarah Angelica's anatomy didn't allow it." the family, special mom and dad of Zarah must have had. After waiting since November 2018, finaly was here, and then it couldnt be done. The Gastroenterologist then started to explain more and told that not all hope was gone yet. Inside Zarah Angelica things are different from "Normal". Both the stomach and colon is locaded different inside her body. as there wouldnt be any spay for the PEG inside, it would have been pushing on her Ribs. There is a soultion for this, thats good, in all this that is happening. The Soultion is, that its going to be a even bigger surgery, more doctors, more planning. They have to "move around" on her organs, so bigger surgery, bigger operation, to make space for the PEG. Surgery, do to more pains. I will come back with more info about this, and other things in Zarah and her familys life soon. Thanks a lot for reading this, thanks to all who will share it, and to all who will help with any donations. It's been a while since we've written about Zarah Angelica. Whats going on in her life, and with the rest of her family. is tough for the family, special to see this little girl and all she have to go true. to focus on any of the others, special the small ones, when there is so much happening around Zarah. But they have handle it, and its really impressive how they manage to do this, and fit in the other kids. 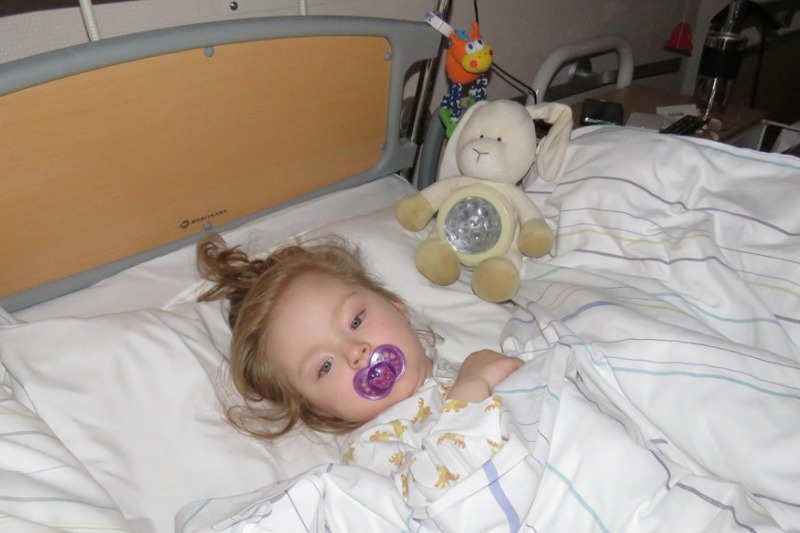 The latest news is that Zarah Angelica will soon go to Haukeland Hospital, Bergen, for a surgery. A surgical procedure for placing a feeding tube without having to perform an open laparotomy (operation on the abdomen). The aim of PEG is to feed those who cannot swallow. PEG may be done by a surgeon, otolaryngologist (ENT specialist) or gastroenterologist (GI specialist). It is done in a. hospital or outpatient surgical facility. Local anesthesia (usually lidocaine or another spray) is used to anesthetize the throat. An endoscope (a flexible, lighted instrument) is passed through the mouth, throat and esophagus to the stomach. The surgeon then makes a small incision (cut) in the skin of the abdomen and pushes an intravenous cannula (an IV tube) through the skin into the stomach and sutures (ties) it in place. Hopefully this will do help Zarah Angelica, and atleast make something a little more easy for her, and help get her in a little better shape. I will update you more about Zarah Angelica as soon as we have more information from her parents. Its a busy time of year even for them..yes folks its closing into Christmas for all of us who celebrate it. 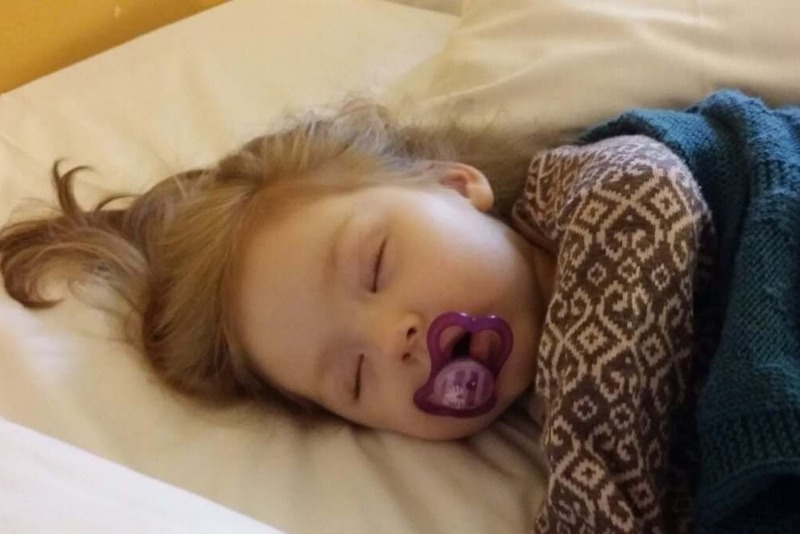 If some of you would be willing to help this little girl and the family. If and when you can, its warm welcome. Make a difference today, and show others the way. Any sharing and donations, to our nonprofit fundraising for Zarah Angelica we are happy to get. I wish you all a blessed and wonderfull christmas time. Remember to take care of those around you, we have no guarantee for anything in this life. 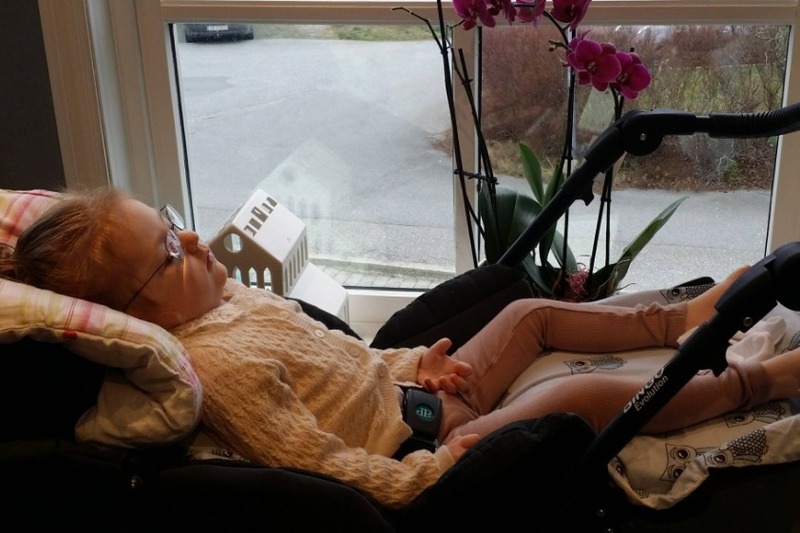 Here is a little update about the tests Zarah Angelica went true at the Hospital in Oslo. (Norway). As most of you know they first took this Ultra Sound of Zarahs liver. When they was ongoing with this, Zarah got a seizure, she needed emergency medicine. The test results of the liver was surprisingly well, it looked nice and good. This is allmost 100% "normal" on kids that has done the surgery for Kasia Biliary atresia. Allso the tests of the spleen was looking normal. Thanks God for some positive news atleast. 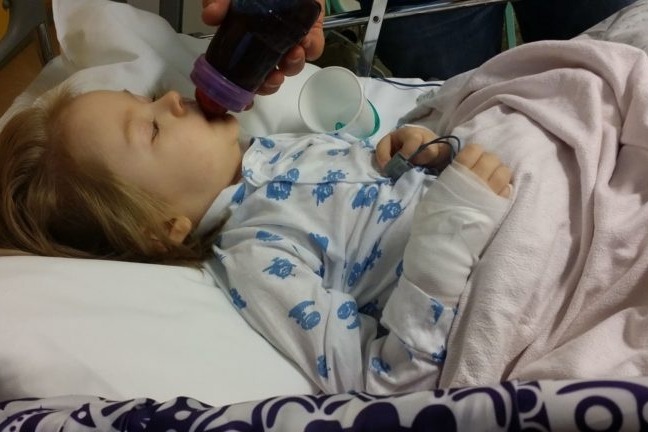 After those tests was done, they had to go take bloodsamples, 16 samples they took from little Zarah. For people with liver illness, a lot of tests has to be done. As we all know the liver is very importan for our bodies. The sampling went not to bad, she was still calm after she got the emergency medicine earlier. But something happend when the nurse took her in the arm; she kinda open her eyes wide-open, and did try to protest. Must be do to, she done this many times, and even as young as she is, she not forgot it. As if she know what was going to happen. After all the tests, she slowly woke up, but she was not in any good shape at all. As told before, it is often very hard for her to eat her food. So she was not in any good shape at all. 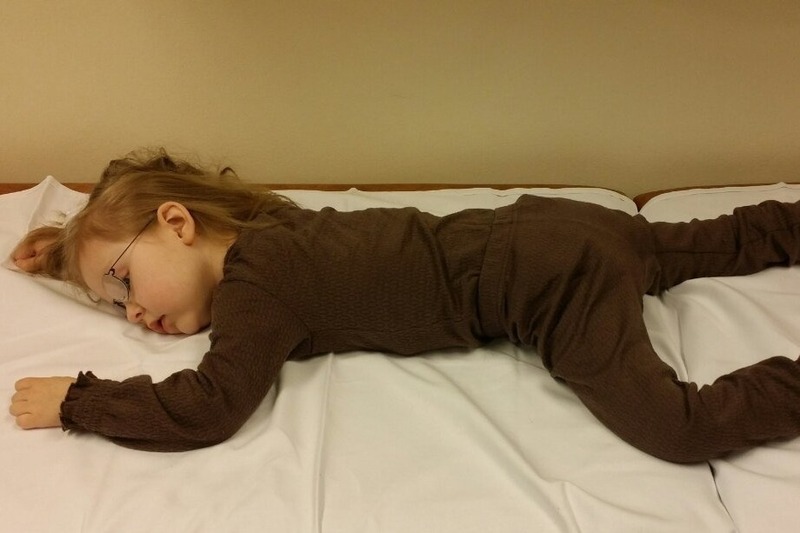 The little girl was really exhausted, do to a long day, a lot of tests, and not any food. The Liver specialist (doctor) was a little worried for Zarah, since she have drastically lose weight. He wanted to take some more tests and X-Ray of her troth (pharynx) do to Zarah as big issues to swollow the food. This is not allways, but mostly on days she gets bigger seizures. Do to the sickness, seizures and difficulty swallowing, she gets less nutrition than she burns in the course of a day. Some of those Sizures, can keep on going for 15 minutes. and as said; she burns a lot more energy then she manage restore. Its allso been talked about to do a operation, and put in a Peg - Percutaneous endoscopic gastrostomy. So they want Zarah back at hospital again soon. In Haugesund, our local Hospital. This so the Doctors can get a better overlook of Zarahs situation right now. More will come about Zarah and her Family. Thanks for reading this update, and thanks for any Donations and sharings. Right now Zarah and her Family is at the National Hospital in Oslo (capital of Norway) There she going for a main check of her Liver. It all started with taking the plain from Karmoy, to Oslo. A Flight about 50-60 minutes. This is the first trip when Zarah Angelica didn't get to sit on lap to one of the Parents, do to the age. And was a hugh challenge, because all the way true the flight, they had to hold her head upright. They had to do this, since Zarah no longer can do it herself, it just falls straight forward or to the side. 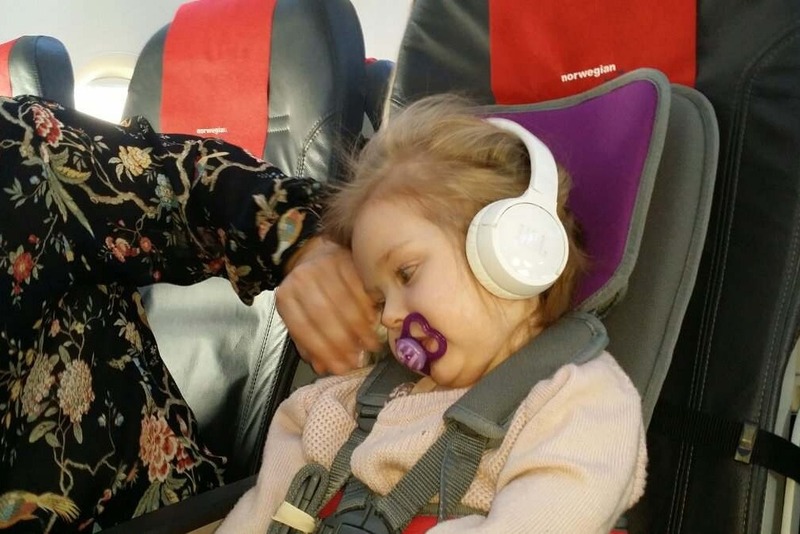 a tough flight for this little princess. and it isnt allways easy to understand what she say or wants. Finaly they did arrive Oslo. Where they had to stop by the hospital pharmacies to obtain food products. Zarah is in a bad shape, and she will not eat. Or can not eat. Thank God for the food drinks and yoghurts. Her brother Leander was with them on the trip, and he enjoy it. Its good for him I guess to come with for the trip, and allso to be there with his little sister. 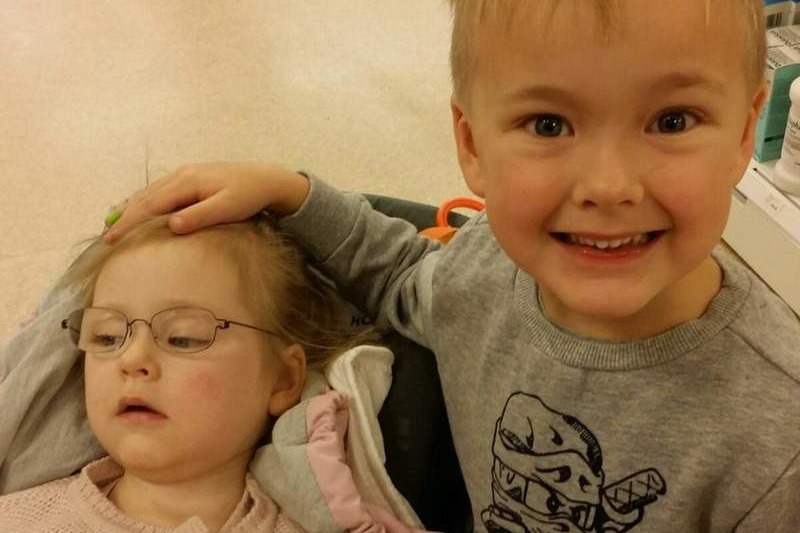 The Lady working at the Pharmacy admired his care for his little sister. 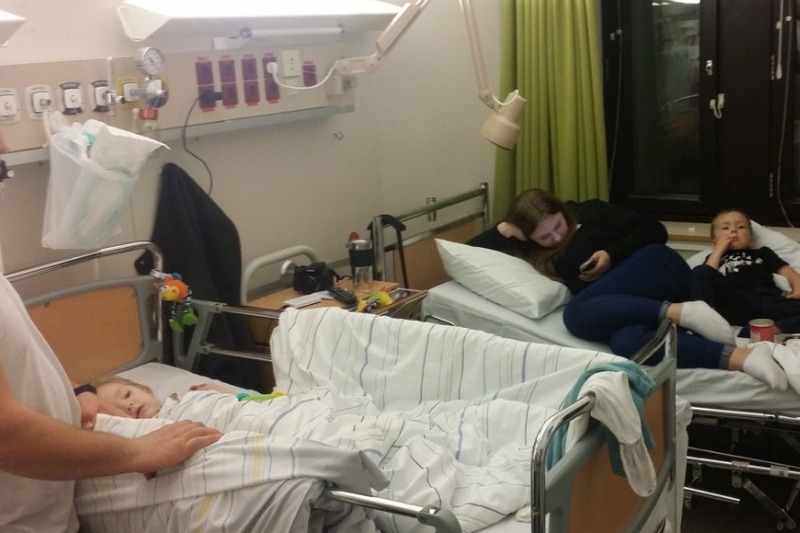 When this was done the family went to the Hotel they going to stay at, when theyr in Oslo, for those liver tests, that Zarah needs to do. makes things even worse. Poor little girl. At the evening Zarah Angelica was totally out of energy, and very tirsthy. On top of it all she is extra thirsty due to the common cold she has rolling in her body. And again the same situation, where Zarah try explain herself, and it hasnt been easy for them to understand, and ofcause they wish they could make her see they understand her better. It must be a terribly bad feeling for them, when Zarah needs a lot of confirmations that they see her. Zarah had not a good evening and night, so they had to stay there with her, to keep her feel safe, and try comfort her as good as possible. Well now we all are crossing our fingers for her day at the Hospital. It will be a long day, and hopefully it will bring atleast some positive out of it. Thanks for reading this update, and thanks for any support from you out there. Its really needed. New update will come when I know more about how the day at hospital went.